This book uses comparative island archaeology to reinterpret a vital phase in early Aegean history. 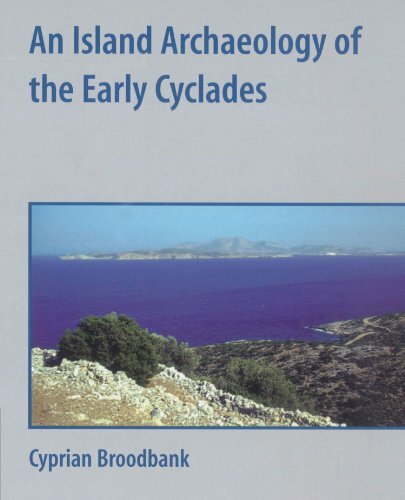 Cyprian Broodbank presents the first modern analysis of Cycladic culture, tracing the development of Neolithic and Early Bronze Age societies in these islands from first colonisation through to incorporation, three millennia later, in the world system of the Minoan palaces and the wider Near East. The archaeology of this region is rich and well documented, and allows Dr Broodbank to reformulate early Cycladic history and to deploy detailed examples that challenge established approaches to island archaeology. He shows that islanders can actively define their cultural space and environments, and that their communities are linked by complex relations to the non-insular world. This book provides fresh perspectives and challenges for island archaeologists and Mediterranean specialists. This book presents the first modern analysis of Cycladic culture, reinterpreting the roles of islanders themselves in constructing their environments. The archaeology of this region is rich and well documented, and Dr Broodbank deploys detailed case materials, tracing the development of these Early Bronze Age societies over three millennia.